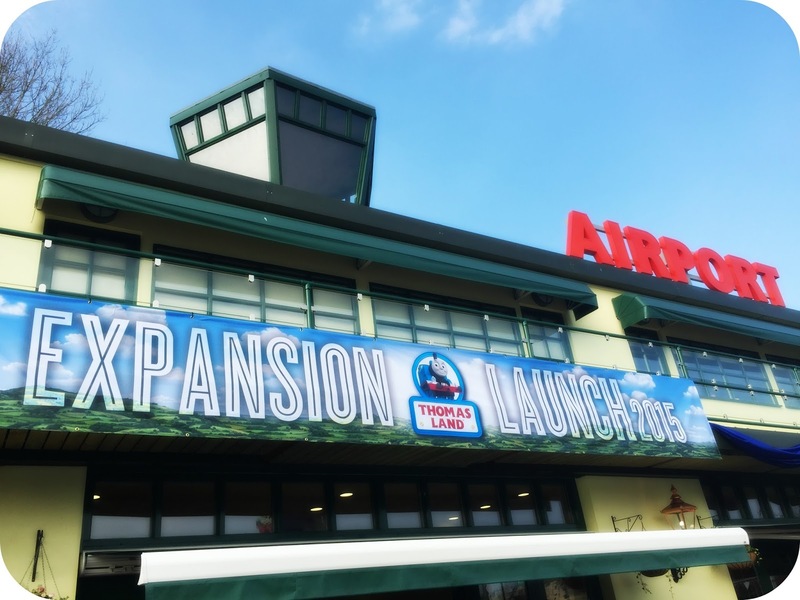 Life Unexpected: The Thomas Land Expansion is officially OPEN! 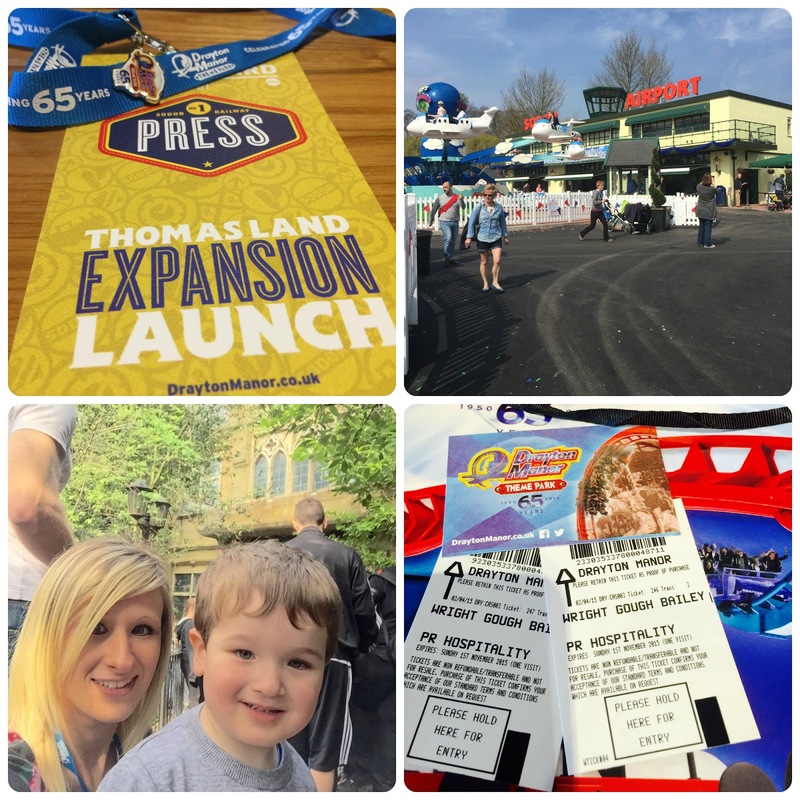 Last week we were invited along to a very special event, the grand opening of the brand new Thomas Land Expansion at Drayton Manor. Leo was thrilled when he discovered our plans to go along, we have visited Thomas Land quite a few times in recent years, and we have some fantastic memories of our time there. It was where Leo went on his first rides, his very first Roller Coaster at just turned 2 years old! That day was such great fun from start to finish, and my cheeks ached from simply laughing as much as I did. 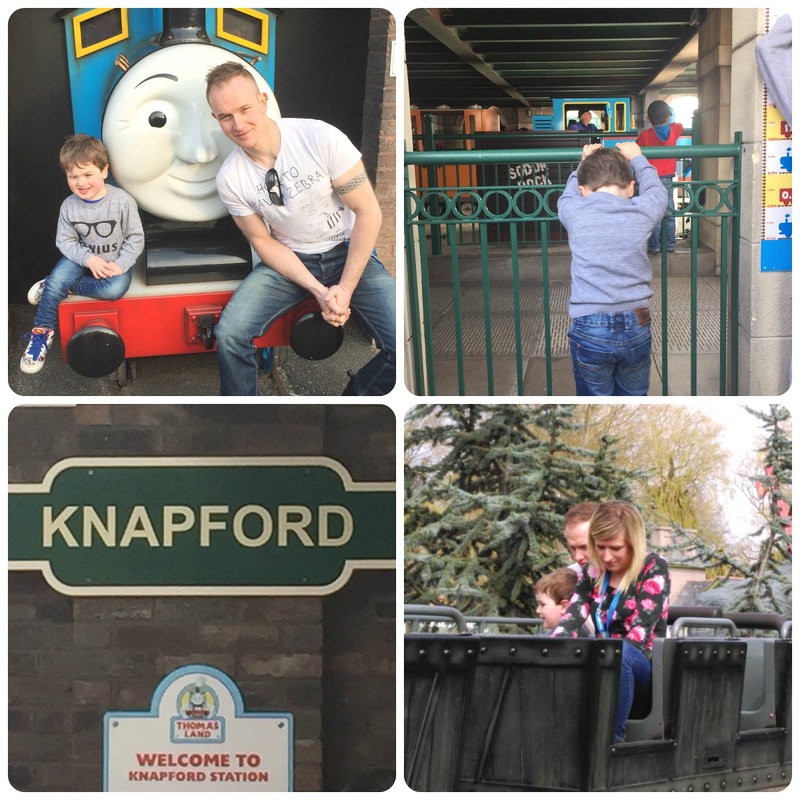 We arrived at Drayton Manor around 11am and rushed straight into Thomas Land, we were of course later than we had hoped and the Fat Controller was just about to commence the opening just as we arrived. We had made it, just in the nick of time! Catching my breath and taking in the new surroundings, we found ourselves in a sea of people looking up to the balcony of the new Sodor Airport. There on the balcony was the Fat Controller ready to get the opening into gear. You can see for yourselves how exciting this was, and even join in with the ‘PEEP PEEP’s!’. Once all of the confetti had fallen from the sky and the new Thomas Land Expansion was officially open for business (Or should I say play!? ), we were one of the first families to get to have a play in the park. Of course this was rather exciting for all of us, Leo was thrilled and quickly made his way over to Jeremy Jets Flying Academy. Jeremy Jets Flying Academy has been relocated from its original position in Thomas Land to right outside the new Sodor Airport. The extension to Thomas Land is a really welcome addition, it provides more space for guests to spread out into, and it gives you even more to do and see on your trip to the park. As we walked around the newly improved Thomas Land, music began to play. Not just any music, but a brass band. 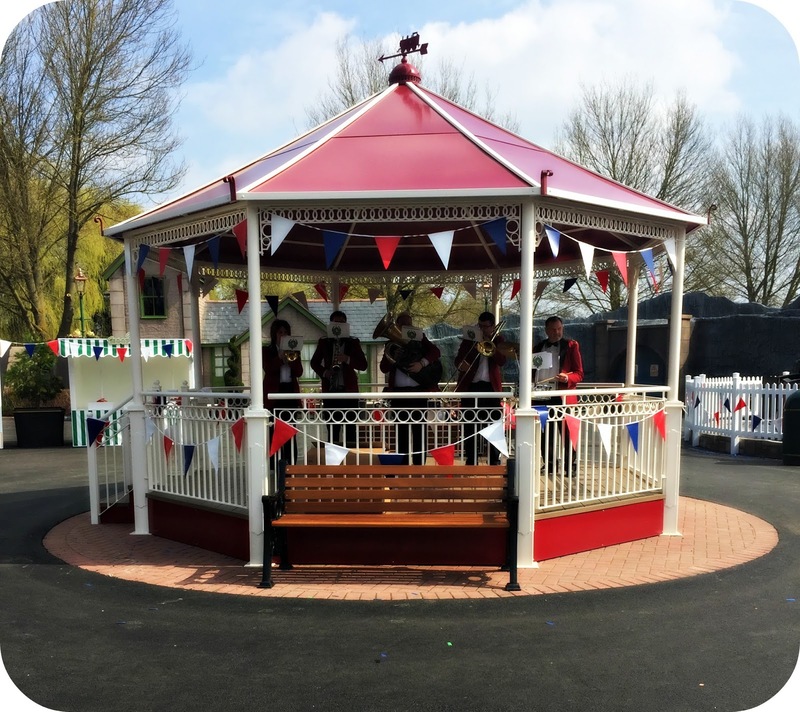 As I scoped out where the music was coming from and we moved towards it, we came across the brand new band stand where on occasion there will be a brass band playing classic Thomas tunes. I loved this addition and it really gave off a lovely atmosphere. That’s exactly what I have found on each visit to the park, everyone is having a great time, and it’s hard not to enjoy yourself! In total there are 3 brand new rides to experience, Captain’s Sea Adventure, this was a little bit too wet for me but you can see exactly what it is all about in the clip of our day! Flynn’s Fire and Rescue and finally Toby’s Tram Express. Daddy and Leo had a great time on Flynn’s Fire and Rescue, which again was a little bit too wet for my liking, but the smiles on both of my boy’s faces from the ground was a rather special sight as they rotated around shooting the water to put out the fire. Toby’s Tram Express was the ride that Leo was really excited to have a go on, unfortunately there were a few technical issues on the day but we look forward to going back and visiting again. In addition to the new rides there are a number of other gems just waiting to be discovered. Sodor Airport is actually a Café and they serve a very tasty Caramel Cappuccino if you feel the need for a caffeine fix while visiting, and there was a lovely selection of snacks and cakes available. You can sit inside or outside, and for me this was a really welcome addition, and I made use of it when the boys were having their ride on Flynn’s Fire and Rescue. Another welcome addition that I was really pleased to see is the new toilet block. Having Leo in tow I like to know where the nearest toilets are, and obviously with more choice it eliminates waiting time. The new toilet block is right inside the Thomas Land extension meaning that you don’t have to traipse from one part of the park to the other when your 3 year old suddenly announces ‘I need the toilet! And I need it NOW!’. 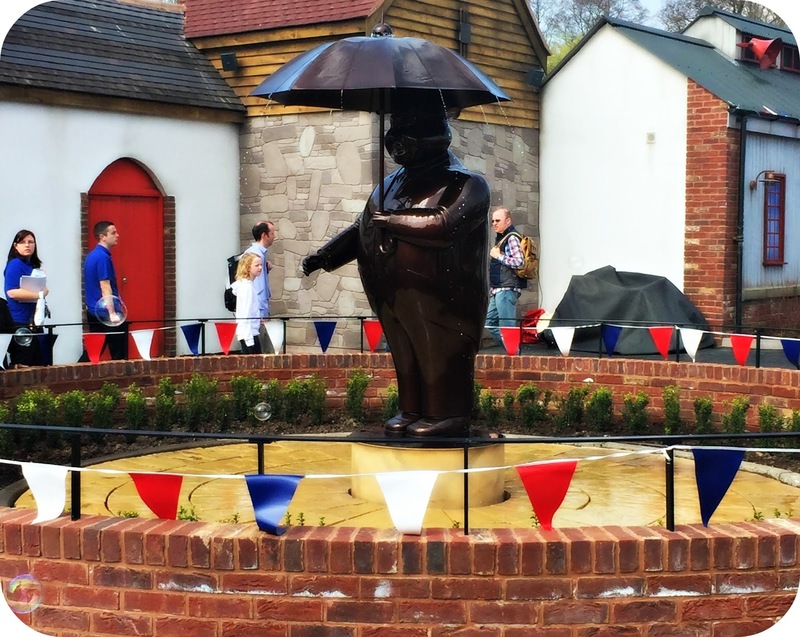 As soon as you walk into the Thomas Land Expansion Thomas fans will be amazed, the Fat Controller Statue is impressive all on its own, and there’s no way you’ll miss it as you make your way in. Of course you can’t forget all of the other amazing rides that are within Thomas Land, and Leo insisted on a ride on the Troublesome Trucks Roller coaster. This is by far his favourite ride in the entire of Drayton Manor, and he never tires of it. We discovered on this visit that the height restriction has now changed to 1.0m. Luckily my little man has just hit this grand old height and he got his ride on the roller coaster! The grounds of Thomas Land are now 3,200 square metres bigger than before and you would be very surprised to know that rider capacity has now topped the charts by 23% and now accommodates 5,130 people an hour! The expansion has cost 2.5 million, but due to its consistent popularity with guests from all over Europe, they made the decision to expand the attraction in order to accommodate the increasing visitor numbers. 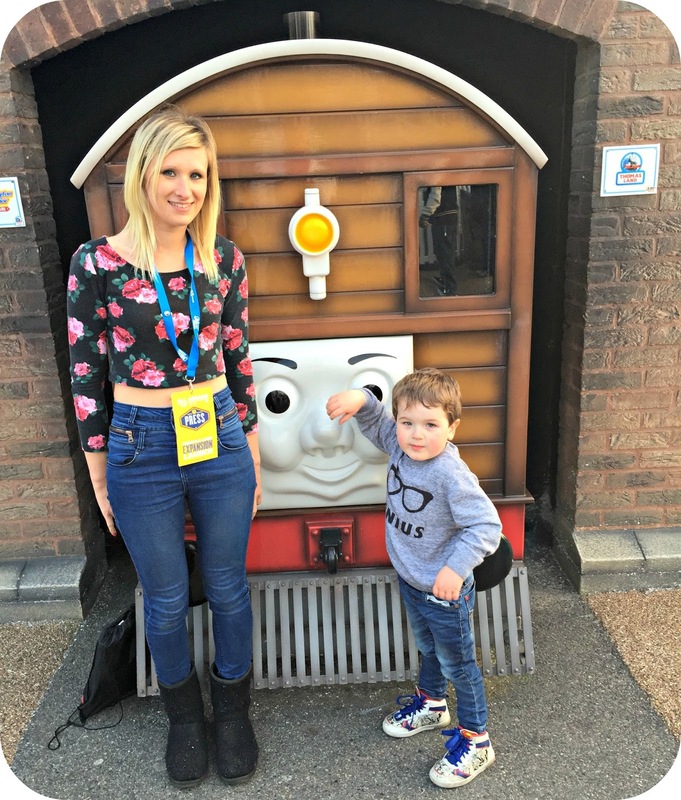 Thomas Land is one of mine and Leo’s favourite places to visit, and we were so lucky with the dry sunny weather, that we got to enjoy such a full, action packed day. When we last visited, Leo was still under the 1.0m height restriction meaning that he couldn’t go on the Ben 10 Roller coaster, on this occasion we were really excited to be able to take him on board. I did show him what it was like beforehand and he was convinced that he wanted to ride. As you will see from the video… This one wasn’t one of his favourite rides of the day! Another ride that Leo just HAD to go on was the Haunted House, I did clarify with him beforehand but after watching Casper the other weekend, he wanted to go in a ‘Scary house’. So with Leo adamant and completely decided, we made our way inside. He handled the experience so well, and he was so brave. When a couple of older children got scared and began to scream and cry, he just stayed quiet and snuggled into me. Not once did he cry or scream, but boy did he talk about it after. He talked about it the entire hour ride home ‘Mummy, I went in the scary house! I saw a ghost!’. Then when he got home he told Granny all about it, and for the days following it was all he would talk about. He seemed so pleased with himself, even though he doesn't want to go back in next time! It was another amazing day, with so many new memories to remember. It’s a great place to visit for us as we live a stone’s throw away, and we find it the perfect size for our family’s needs. We look forward to visiting again over the Summer, and I know that Leo will be just as excited when we do announce our next visit! You can enjoy a snippet of our day below! Leo's face on the Ben 10 Roller coaster was rather special! Disclaimer: We were invited along to the Thomas Land Expansion Launch. All views and opinions expressed are completely honest and my own. Shame about the distance, we always have such a fantastic time! Such a lot of fun to be had. Thomas Land is a great day out. Isn't it! Glad you had a lovely day! I wasn't a fan of Thomas as child so going to such a park wouldn't interest me at all. However now I might be convinced to go with friends and their children. I'll have to share this with a friend in America who has a young boy who is crazy about Thomas. Would be a visit to do if they ever came to visit. I know what you mean! Leo has thrown us into a world of trains, so it was something I have learnt to love. Thomas Land is an amazing day out though, and I love enjoying the rides with Leo. It's such a good day out! I have to say that Thomas Land has so much more going on than CBeebies Land. 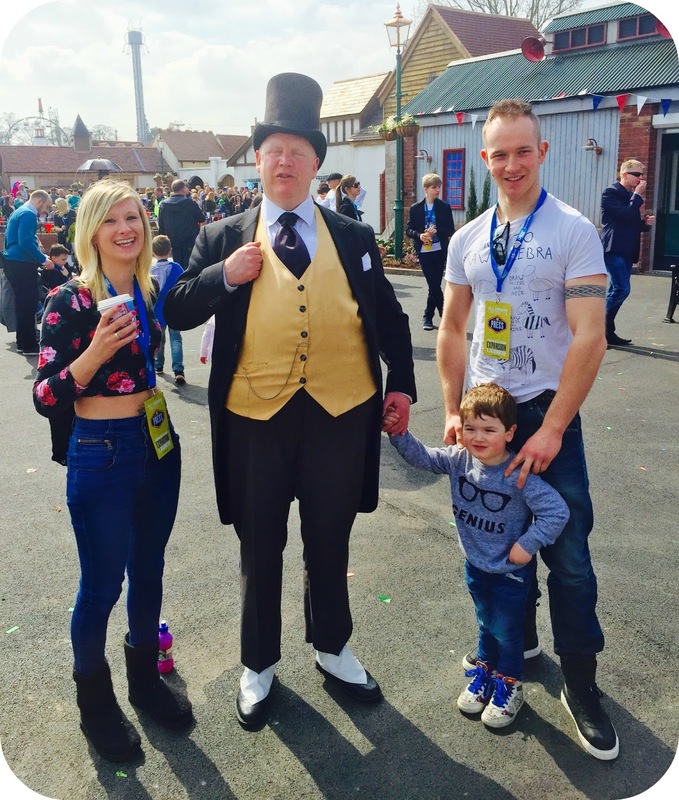 We have always had the best day's out at Drayton Manor as a family, and felt Alton Towers kid section was lacking! Leo's in it for the roller coasters! Glad you had a good day! So much to see and do! Hope you had a lovely day! We need to go back and make more time for the zoo! We always spend so much time in Thomas Land and miss everything else! The kids will love it! Leo is already asking when we can go back! Certainly a great family day out. We have taken Leo since he was young and there has always been something for him to do and enjoy. Oh this looks fabulous! My daughter used to love Thomasland, she was obsessed. We had many happy visits there. It's a great park, it has something for absolutely everybody and I think that is why it is so popular. Fun it certainly is! I always have such a great time watching Leo truly enjoy himself! We are big fans, and the extension is superb! It's definitely worth a visit! Leo wants to return already! We had such a great day, and I am sure will be retuning again very soon! I always did love Drayton Manor! Thomas Land is all about the fun! Leo didn't want to come home! My youngest would have loved to see all this. Ooh a caramel cappucino would be just the thing right now! I'm glad that you were able to make lovely memories again, the second time round. Caramel Cappuccino has worked it's way into daily life these days! Thank you so much! We're going in a few weeks and can't wait - it's our first time!! So thank you for this, makes me more excited! You are going to have such a great time! I hope the weather is as fair to you as it was to us! the new expansion is so fab isn't it! .. we loved the event too :-) .. It really is! Such a great day out!